We all have entered into a competitive world where there is stopping for anybody. Success in this highly competitive world comes only with pure and absolute dedication. In such a way the importance of education comes into play now. It is not only about education alone but about education coming from a really good institute. Now getting admitted in a good and prestigious institute for higher education is not a easy thing. There are a lot of things which plays a huge part in getting you admitted to a great institute. One of the most critical and significant thing of these things is statement of purpose. Whether you are aiming for higher education in prestigious or proceeding for residency program, this sop thing is always gonna come into play. There is a lot of trend these days of going abroad for higher education. Here also the SOP writing will play a big part. 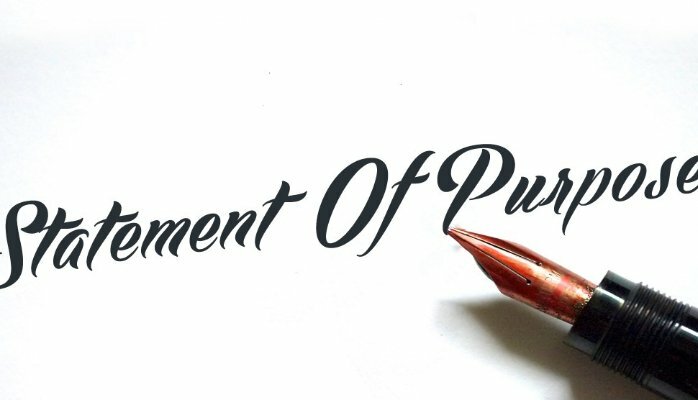 Statement of purpose from the side of student is the basic requirement of any prestigious institute in foreign countries. So considering such great importance of SOP it comes really important to talk in detail about Statement of purpose. SOP is your statement of purpose. It will be all about and your aspirations and ambitions of your life in detail. If you are choosing some specific course then you statement of purpose will be about why are choosing this course? How you got interested in this course from an early age? How this education will be helpful to you in achieving your life goals and aspirations. You have to mention your achievements in your life in different areas and fields. All these things actually sums up the statement of purpose thing. But writing an sop is not a easy task. Now this is real thing. A lot of students applying for education in abroad fear a lot from statement of purpose. But there is nothing to worry about as we are going to discuss best sop writing tips which are going to help you a lot in your whole process. We are going to discuss the tips about how to write best SOP for abroad. So let us get started with all the major component or parts of the statement of purpose. The most important thing in your statement of purpose for studying abroad is your education. There is need to mention all your education qualification and the role of this educational qualification in honing you. Education plays a big part in SOP. Good grades make a good impact in the deciding committee for your admission to prestigious institute. This thing is given a lot of importance by people and deciding committee as well according to the experts. Your career aspirations mean a lot to the institute. That is why there is always a need to mention about your career aspirations in a best possible way. This thing is the most significant factor. You are going to relate your field of education you are choosing to your past life. Like how you got interested in this area of study and why you think you can do best in this field only. So you need to know literally everything about your field of study you are going to choose. This will make a great impact in your statement of purpose. Your earlier achievements in the area of study you are going to choose also matter a lot. That is why in your statement of purpose you are going to mention all your achievements in a best possible way. The achievements in other than in your area of study are also needed to be added. Experience for higher education matters a lot and the experience acts as icing on the cake for the statement of purpose. So you are going to mention in detail about your work experience. This thing will make your statement of purpose more strong and concrete. So keep experience in your mind always. These are the major components of Statement of purpose and these cannot be missed at any cost. Following are the most important statement of writing tips. Before starting with your statement of purpose get fully educated about your area of study and course. This thing is going to help a lot. Get to know each and every thing about your program so that you can commence with your statement of purpose in best possible way. Get ideas from your friends and family members about SOP. Share your points with and get good ideas from them as well. Download a lot of samples of Statement of purpose from internet so that you can get idea about the sop format examples Always Keep in mind the structure of SOP. Take a small dairy or notebook. Just brainstorm the idea about you statement of purpose. Write these points on the notebook as they come to your mind. Start at the earliest with the work of your statement of purpose so that you can easily meet the deadlines of different institutes. These are the most important statement of purpose writing tips which are recommended by expert as well. Now there are a lot of students who lack in writing skills. Such students do not need to worry. Just check for SOP writing services in the internet. Here you can find a lot of companies offering sop writing services at genuine prices. Choose from these companies according to your choice. You first of all need to send them your iwn draft of Statement of purpose with small amount of payment. You can choose to get help from sop writing software as well which works in a great way and is of great use. After that you will get your SOP in given time frame from the company. You can ask for changes as well in the SOP if you require them. Just go the above sop writing tips start with your work of SOP at the earliest.